The port city of Annaba in northeast Algeria is famed for its Mediterranean beaches and is hugely popular with tourists. The beautiful azure-blue coastline is reached from the city via an 8 km (5 mi) road, which until now has remained unlit! The city authorities recently called on Fonroche for a lighting project to improve safety and reduce accidents on this twisty and dangerous section of tarmac, while keeping costs down and requiring absolute sensitivity to local environmental considerations. Algeria has huge solar potential and is keen to adopt more eco-friendly solutions, making Fonroche solar streetlights the perfect fit for this important local project. 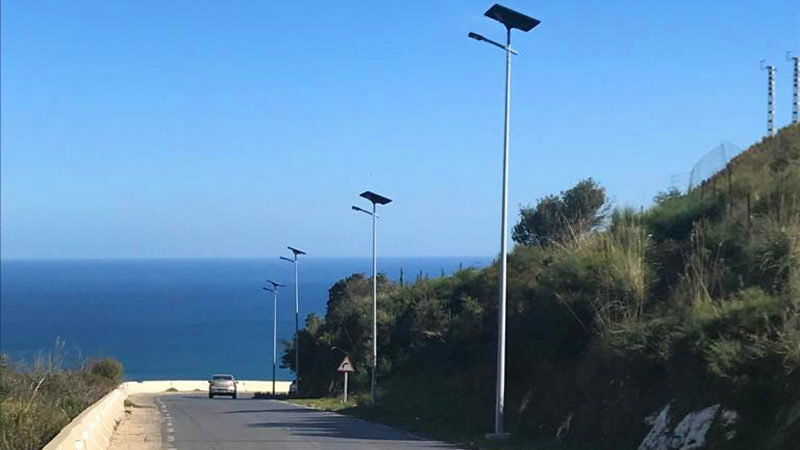 To meet the city’s requirements, Fonroche has installed more than 200 off-grid solar streetlights from our Smartlight range along Annaba’s coastal road, generating an average of 13 lux on the ground (the amount of light measured at surface level). Prior to installation, all streetlight poles for this project were specially treated to withstand corrosion in the salty seaside environment. Coastal roads are notoriously tricky for local authorities to light, with their constant bends and undulating elevation, and connecting them to the utility grid can be a hugely costly exercise in civil engineering. In Algeria, the Fonroche solar lighting solution was both less expensive and easier to install than any grid-based alternative. 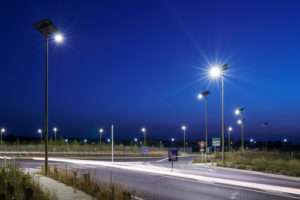 Algeria’s towns and cities have relatively modern, reliable public lighting systems, connected to power stations via the national grid. However, the government is actively exploring more eco-friendly options and investing in renewables, like solar. A brighter future for Algeria’s coastal communities? After Annaba, Fonroche is ready to install solar solutions along all of Algeria’s beach resort communities, which currently have no public street lighting! Algeria, historically dependant on oil production, is now one of the leaders in the developing world when it comes to sustainable energy, with ambitious plans to generate 27% of its energy mix from renewables by 2040. The country even boasts an eco-city in the middle of the Sahara! Ksar Tafilelt proudly stands as a practical prototype for a more sustainable way of living, powered almost entirely from sustainable resources, and with solar streetlights, of course!